At present there are no special laws regulating the property relationship of those who choose to cohabit. Many people are shocked to learn there is no such thing as a ‘Common Law’ wife. In the past our specialist cohabitation solicitors have encountered a number of clients who are under the apprehension that if they have lived with their partner for a period in excess of two years, they have the same cohabitation rights as a wife. Without the provision of a cohabitation agreement this is simply not the case. Despite the fact there are in excess of two million cohabiting couples in this country, the government have failed to consider the recommendations made by The Law Commission of England and Wales some years ago. 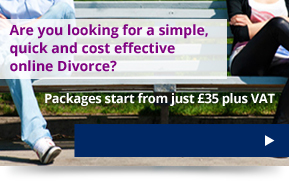 It is important for separating unmarried couples to obtain expert assistance from cohabitation solicitors. Advice can be given to help the parties divide the assets of the relationship. If a property is not in the joint names of the parties, a cohabitee would have to pursue an action under civil law under the traditional remedies of constructive trusts, resulting/implied trusts, estoppel and equitable accounting. This results in costly litigation. Any trawl through the case law will reveal that the goal posts for cohabitation rights appear to be constantly shifting. There has been a fairly recent case Kernott – v- Jones which has had to go to the Supreme Court to determine their share of their fairly modest family home. Taken cases to the Supreme Court cannot be the best solution given the number of cohabiting couples in this country. There is one exception to the rule: Schedule 1 of the Children Act 1989 enables a property adjustment order to be made for the benefit of children. An order can be made under that Act, whereby a parent and child can remain at the property until the child finished full time education. The property would then have to be sold. If an agreement cannot be reached and court proceedings are necessary, our specialist team of cohabitation solicitors can provide the experienced and expert legal advice you need. 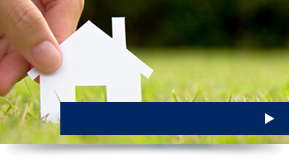 Call 02920 404018 or email info@howellslegal.com for clear, straightforward advice from our cohabitation rights team.